Happy Birthday to adorable little Micah! He really is such a cute little guy. However, he's mighty attached to his mommy. I haven't been able to win him over quite yet. I'm going to keep working on it though. I just can't resist this little cutie pie! This picture is perfect because tomorrow is Natalie's birthday. So Happy early birthday to Natalie! (She's on the left.) With a large family like my husband's, there are many birthday celebrations. Hope everyone has, had, and will have a marvelous birthday!! 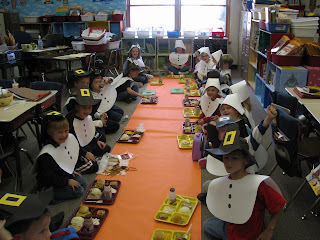 Just a fun post today full of Thanksgiving pictures. I hope everyone has a wonderful Thanksgiving full of food, family and fun! 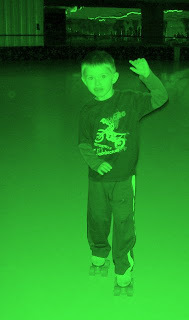 Fun things to watch for: Halle's solo and a cameo appearance of my little neighbor. And don't forget to listen to the words, you just might learn something. Kate and I standing in front of the Mayflower replica. Hope your turkey is thawing. "Oh my gosh, it's a squash." Did you know pumpkin's a squash? This is a recipe I got from brightideas.com. I stole the picture right off their page and everything. I thought I made this last year for Kate's birthday, but as I looked for pictures I realized it was two years ago. TWO YEARS since I've had this sinfully delicious cake. Sounds like it needs an appearance at the Thanksgiving feast. 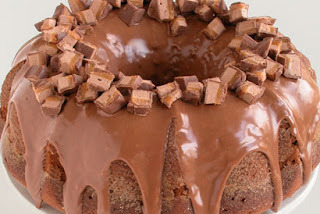 This is such a yummy cake; like a dense pumpkin bread but the glaze is melted Milky Ways and condensed milk. Does that not say it all right there? Anything with condensed milk has me salivating. 1. Combine the flour, baking powder, cinnamon, ginger, baking soda and salt, and set aside. 2. In a separate bowl, cream the butter with the sugar. Add the eggs, one at a time, and stir in the pumpkin puree. The mixture will be loose and wet. 3. Using a low speed mixer, add the flour, one third at a time, blending well after each addition. Stir in the apple cider until smooth. 4. Spoon half of the batter into a greased and floured bundt pan. Make a layer with 2 cups of the MILKY WAY® Bars. Cover it with the remaining batter. 5. Bake in a preheated, 350°F oven for 50-60 minutes, or until a toothpick inserted in the center comes out clean. Transfer to a wire rack, and let cool completely. 6. Gently loosen the sides of the cake from the pan, and invert it onto a cake plate. Unmold the cake from the pan, letting it carefully slip out. 7. To make the drizzle, heat 1/2 cup of remaining MILKY WAY® Bars with condensed milk in microwave for about 20-30 seconds. Drizzle the sauce over the top of the cooled cake. Decorate the top with reserved chopped candy. Tip: If you don’t have a bundt cake pan, simply bake the cake in a 9 x 13-inch greased baking pan for 35 to 40 minutes in a 350 degree oven, or until a toothpick inserted in the center comes out clean. Enjoy, I honestly don't know how you won't. Poor little Kate, she gets the birthday shaft every year. The only year we've celebrated her birthday on her actual birth date was the day she was born. Thank goodness she's still too little to know any better. I honestly can't believe she's 3. I still consider her such a little baby. I guess that's what happens when you're the baby of the family. In fact, I was thinking about her party and thought, "Oh, I'll just make her some type of cute pink cake. She's too little to know what she'd want." And then I realized that for Halle's 3rd b-day, she INSISTED on a black bat cake. And for Carter's 3rd birthday he demanded Spongebob. My little cousin wanted a vacuum cake for his 3rd birthday. So I realized that she's really not a baby and she probably knows exactly what she wants. Sure enough, when I asked her, she replied, "Pink Cindewella cake." So a pink Cinderella cake it was, and she loved it. This kid is all about "girl" stuff. Barbies, babies, and dress ups were the main theme of the night and she loved it all. Poor little girl ended up laying in Grammy's arms for the rest of the night and fell asleep before Mimi showed up with another gift. She didn't even get to open it. But this morning when she woke up, she was good to go and remembered every detail about the party. Even what gifts she got from who. "Halle gived me dis Barbie, and you gived me clothes (and so on)." It was really cute. Soooo...what do you think? Did you like it, hate it, love it? I'm gonna say it was better than I thought it would be. I was pleasantly pleased and I am happy with that. Could it have used a larger budget? Yes. Were there some strange parts the director should not have allowed? Uh-huh. But overall, Edward gave me butterflies and that's just what I wanted. And as promised, pictures of our shirts. 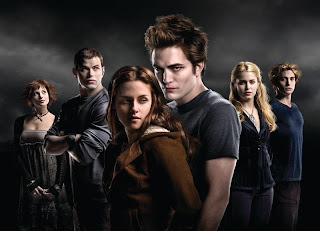 Mine said, "My heart belongs to my husband, but Edward can have my neck." And I'll admit I copied that line off one I read somewhere on the internet. Thanks for the fun girls night ladies!! It was a riot. I'll be honest, I have some very mixed emotions about seeing this movie. I'm so afraid of it being bad. In fact, I made sure to read all the books again this time nice and slowly, just so that I could get firm mental images in my head of what MY characters look and act like. I wanted to wait to hear a bunch of your reviews before I went to see it, but some girls from church called with an extra ticket for tonight, so I said "Sure, why not?" So if you're at the theater tonight at the 8 pm showing say hello. Try-It-Tuesday, Try-It-Thursday, it's all the same. Right? Really though, this is fairly easy to make and is a yummy addition to all the delicious Fall pumpkin desserts. I found this on some Libby's Pumpkin website and of course, I altered it just a wee bit. BEAT cream cheese and brown sugar in large mixer bowl until creamy. Add pumpkin, evaporated milk, eggs, cornstarch and cinnamon, nutmeg; beat well. Pour into crust. COMBINE sour cream, granulated sugar and almond extract in small bowl; mix well. Spread over warm cheesecake. BAKE for 8 more minutes. Cool completely in pan on wire rack. Refrigerate for several hours or overnight. Remove side of springform pan. Drizzle with caramel topping before serving. The refrigeration part is a must. And I would say overnight for sure. It really makes a difference in taste and texture. 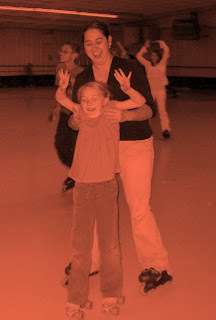 I am so sad that my beloved blurb.com is no longer compatible with blogger. I just received my 3rd blog book in the mail today (Yes Miki, Fed Ex FINALLY found me!) and I was so excited to get going on my next one to finish up 2007. When I tried to download my blog I got an error. I had to dig a little and finally discovered that something with an API code from blogger wasn't stable enough for blurb to work with. (It's somewhat of a foreign language to me.) But I am angry at both blogger and blurb. FIGURE IT OUT PEOPLE!!! 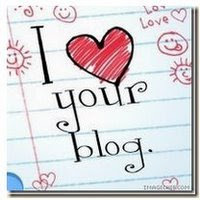 I need hard copies of my blog! I know I can still cut and paste and get it done, but can you even imagine how long that will take? Arggghhh.. 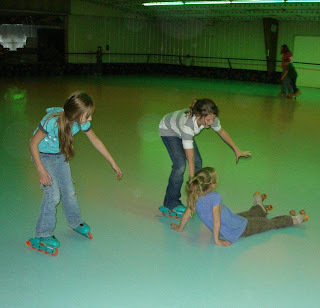 I can not tell you the last time I went roller skating. 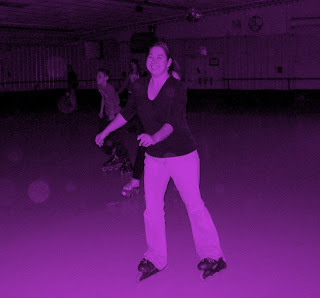 Okay, I guess I went roller blading once in college when I was 19. 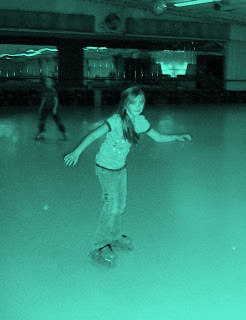 But before that it was probably elementary school and I haven't done it since. That is, until last Saturday night. 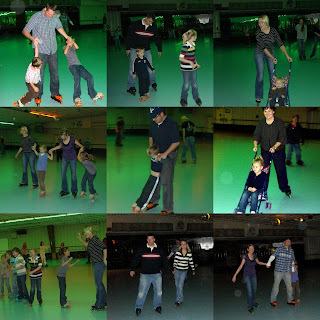 Jarom's family decided it would be fun to go to Starlight Skating, the local skating rink. I swear that place hasn't changed one bit since I was 10. It was like stepping into a time warp. But oh, it was so fun. I really had a blast. Thanks Gregg and Anna for treating us to a great time. NOTE: Check out "Creepy Guy" in the background. All you Idaho Falls-ers beware. He really was creepy. He kept "bumping" into our girls. They complained to us several times until my SIL Katie had had enough and went and told the manager. The manager said that the guy had been complained about 4 other times that day and kicked him out. I was so glad Katie did that and that the manager took care of the problem. I don't know anything about this guy, but I'll tell you what, if I ever see him again (and we've already spotted him twice since) I will NOT leave my kids unguarded. 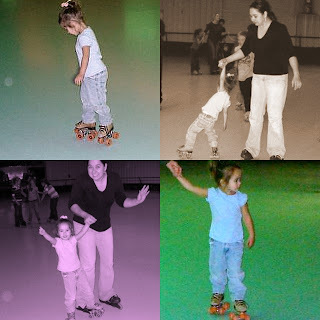 Kate was THE cutest blasted little skater I've ever seen. 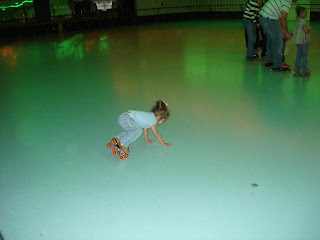 And she was pretty good at it too. She's a little natural. 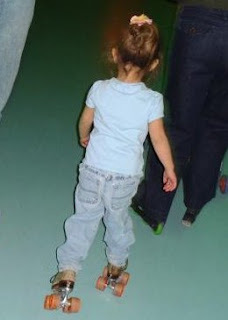 I just couldn't get enough of seeing her in those teeny tiny skates. What a fabulous time, we MUST do this again! Happy Birthday Anna! I think new furniture is a pretty exciting birthday gift. So cute! Hope you have a great day. I know, lots of updates today. Bear with me, it was a big weekend. It's a right of passage to get your ears pierced when you turn 8 in our family. I did it, Alyssa's done it, and now Halle has joined our exclusive club. Getting the ears ready for the holes. "It stings! It stings!" But not one tear! What a brave kid. All done! Thanks Aunt Mimi. Feeling like a new person with her beautiful earrings. 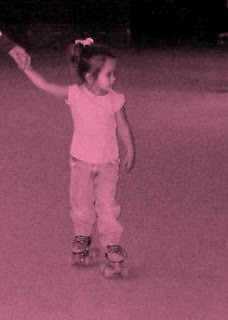 Doesn't she look so grown up now? Halle had a "spa-tacular" 8th birthday party! We did this same party for Alyssa last year, and Halle's wanted one ever since. I know it seems like a lot of work (and there is some definite prep work that goes into it), but if you have wonderful sisters or friends willing to help you out, this party is one of the easier parties to do. And THANK YOU to my wonderful family that helped me out. I couldn't do it without them. We had five different "spa" stations that the girls rotated through. Each girl was given an appointment card and just went in the order designated. 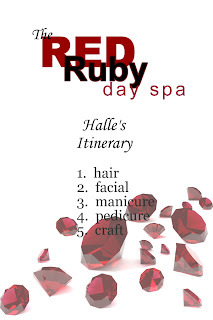 Halle chose to name her spa The Red Ruby day spa and then Jarom made the cute itinerary cards. Hair done by Aunt Emily. She did everyone exactly the same and they loved looking just alike. They were finished off with some glitter spray which was so fun. They got to keep their own combs from this station. Facials done by myself. (For Alyssa's party we used tinted cool whip and that didn't work so well. This year I just used cold cream and it was much better.) We put a little make-up on after their faces were nice and refreshed. They each got lip gloss, hand mirrors, and hair bands to keep at this station. Nails done by Aunt Mimi. (Her name is also Emily, but we call her Mimi to make it easier.) Each girl got to keep an emery board. Pedicures done by Aunt Deidra. Complete with foot soaks, smelly lotion massages, and painted toes. Craft and snack station run by my mom. The girls decorated bags to keep all their loot in. 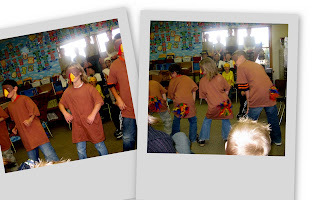 We were so excited to have our Utah cousins join us for the party this year. 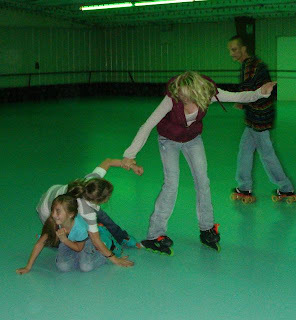 Sami and Megan are Alyssa's age, so she was in seventh heaven. The dolled up party group. They all felt so beautiful. It was so fun to watch them take out their mirrors and just look at themselves. Every little girl deserves to feel beautiful once in a while. Present time and a look at the backs of the adorable hair Emily fixed. It's tradition to get a set of scriptures with your name engraved on them for your 8th b-day in our family.